Free business checking accounts either don’t charge monthly account fees or make it relatively easy to avoid them by, for example, meeting minimum deposit requirements. We examined banks nationwide to find the 15 best free business checking accounts. These accounts waive monthly fees, but they may charge customers for extra transactions and services. FitSmallBusiness has been banking with Bank of America for five years. Bank of America’s business checking is free if you maintain a minimum balance of $3,000 or spend $250 or more on a Bank of America business debit or credit card. Plus, new customers may qualify for a bonus of up to $450 when you open a business checking account, set up online bill pay and use a Bank of America small business credit card. After researching free business checking accounts, we have found Chase Bank to be the best provider. Chase offers no monthly service fee if you maintain a minimum balance of $1,500. Clients can access more than 5,100 branches and 16,000 ATMs nationwide. New business checking clients are eligible for a $200 bonus for opening a new account. This article was originally published in September 2016. We update the content regularly because the banks, credit unions, and other providers we cover change their product offerings frequently. The most recent changes to the best free business checking accounts include name changes for two banks and the addition of eight free business checking accounts to our article. Recent changes with the largest impact on our update to the best free business checking account rankings include the following differences. We monitor Federal Reserve rate changes because they impact the cost of money for banks. When the prime rate changes, banks may revise their account fees or revise whether they pay interest on checking accounts. The Federal Reserve raised its benchmark rate a quarter percentage point in late December 2018, the fourth increase of the year. No banks on our list have stopped offering free checking or made it more difficult to avoid fees since the increase. The financial services company TIAA completed its acquisition of Jacksonville, Florida-based EverBank in June 2018, and rebranded the online bank to TIAA Bank. Since the acquisition, TIAA Bank has not changed the account terms for its small business checking account, which charges no monthly maintenance fee. The account has a minimum opening deposit of $1,500 and offers an introductory first-year 1.21% annual percentage yield (APY) on balances up to $250,000. Bank of Internet USA, the oldest online bank, was rebranded as Axos Bank in October 2018. The San Diego-based financial services provider is a subsidiary of Axos Financial, Inc., formerly BofI Holding, Inc. The company says the new name “better reflects the diversity of our existing businesses.” Axos Bank has not changed the account terms for its Basic Business Checking account, which charges no monthly fee and requires a minimum opening deposit of $1,000. We’re constantly searching for the best free business checking accounts. During our most recent update, we added eight banks, mostly online or regional institutions. We made these additions to improve the diversity of our top picks. We added free business checking accounts from Azlo, PNC, BB&T, Navy Federal Credit Union, Wells Fargo, Bank OZK, Popular Bank, and Novo. A free business checking account is one that doesn’t have monthly maintenance fees, although it still has other costs. There are two types of free business checking accounts: those that don’t charge monthly maintenance fees at all and those that waive maintenance fees if certain criteria are met, which are most of the options included here. Most free business checking accounts have low fees and limit the number of transactions in an account each month. However, the best free business checking accounts offer high numbers of transactions, access to sizable bank networks, introductory offers and access to additional banking services at low costs. Based on the factors above, our best free business checking account is the Chase Bank Total Business Checking account. This free business checking account has one of the lowest required minimum balances ― $1,500 monthly average ― to maintain your free account. Chase also has a sizeable bank network with more than 5,100 branches and 16,000 ATMs nationwide and offers a bonus for new customers. While Chase is our recommended free business checking account provider, there are benefits to using any provider on this list. FitSmallBusiness, for example, has been banking with Bank of America for more than five years and plans to continue using Bank of America for business checking. A Bank of America Business Fundamentals account is free if you maintain a $5,000 balance, and new customers may also qualify for up to $450 in sign-up bonuses. We’ve also found that Chase offered the best small business checking account. With $500 in monthly deposits, your monthly fees can be waived. Plus, first-time account holders are currently being offered a $200 bonus for signing up. 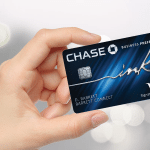 Chase Bank is a national bank with everything you could want from a free business checking account as long as you maintain a $1,500 minimum balance, which is one of the lowest available. Clients can access more than 5,100 branches and 16,000 ATMs nationwide, plus additional banking services for any other needs. Chase Total Business checking allows up to 100 free transactions per month and unlimited electronic deposits. Chase has one of the largest bank networks on this list. Clients have access to more than 5,100 branches nationwide as well as more than 16,000 ATMs. Chase also offers web tools including Chase QuickDeposit and Chase Online Bill Pay so that business owners can handle banking anywhere they have an internet connection. Chase Bank has more than 5,100 branches nationwide where clients can get in-person customer service. In addition, Chase has incredibly robust web and mobile banking tools for clients to administer accounts. Additional issues that can’t be resolved online can be handled through one of Chase’s client service experts, who are available 24/7. In addition to its introductory offer, Chase allows small business owners to place controls on business debit, deposit, and ATM cards so that only certain employees can access ATMs or make purchases. Chase also has special banking offers for military service members and their families. While it is one of the best free business checking account providers, Chase Total Business Checking isn’t free unless you maintain a minimum average daily balance of at least $1,500 or meet other criteria. Chase also limits free checking customers to 100 free transactions per month. Visit Chase’s website to get more information on account options or find a branch office near you. You can start the process of opening a business account online but may need to visit a local branch to complete your account setup. New account holders can qualify for a $200 sign-up bonus. TIAA Bank offers banking accounts, lending, and investment services exclusively online, over the phone and through the mail. The company has virtually no fees, is easy to use as an online product and pays 1.21 percent interest on deposits for the first year. This makes it the best small business checking account if you’re running a business and are comfortable handling all your banking online. TIAA Bank has virtually no ATMs or branch offices around the country. However, it reimburses account holders for all ATM fees if they maintain an average daily balance of at least $5,000. As an online provider, TIAA Bank doesn’t have branches or ATMs where customers can go to address questions or account issues. However, it still provides strong customer service online and over the phone and can provide a number of additional services to small business owners through its parent company, TIAA. Unlike other free business checking account providers, TIAA Bank pays interest on deposits. After the introductory interest rate expires, TIAA Bank pays 0.2% to 0.61% annual interest depending on the account’s total balance. TIAA Bank also reimburses for all ATM fees if you maintain an average daily account balance of at least $5,000. TIAA Bank is a great online provider but doesn’t have branch offices or ATMs around the country. This makes it difficult, if not impossible, to deposit cash. However, TIAA Bank does provide strong customer service online and reimburses for all ATM charges if you maintain a minimum average daily balance of at least $5,000. You can open a free business checking account online through TIAA Bank’s website. All of the forms can be completed online, and you can start earning 1.21 percent on deposits up to $250,000. If you maintain a minimum average daily balance of at least $5,000, TIAA Bank will also reimburse you for all ATM charges. Capital One leverages technology to offer a low fee structure because so much of its business checking works online. Business owners have unlimited free transactions, no minimum balance and access to more than 700 branches and 39,000 ATMs nationwide. Capital One’s free business checking is ideal if you’re starting a business and want to bank online. Capital One has only 700 branches nationwide. However, the bank has partnered with Allpoint to provide customers free access to more than 39,000 ATMs across the country. In addition, business owners can bank from nearly anywhere through Capital One’s web portal or mobile banking tools. Most account administration can be handled seamlessly online through Capital One‘s website. It has fewer than 1,000 branches nationwide, so it can be difficult to get in-person guidance at a local branch. However, the bank is always ready to assist customers online or over the phone. Capital One also integrates seamlessly with independent accounting software, making it easy to track bills and reconcile accounts each month. While Capital One has no minimum balance requirement and offers unlimited free transactions for small business owners, it limits free cash deposits to $5,000, which can be a problem for some businesses that receive a lot of cash payments. Also, it only has 700 branches nationwide, so you may not have one close by. You can open a business checking account online or in person at a Capital One branch. Be sure and ask about current intro bonus promotions as they are updated frequently. Once you’ve opened an account, you can start banking with Capital One right away and use it to help with your business financing. The Bank of America Business Fundamentals Checking account is one of the best free business checking accounts if you maintain a minimum balance of at least $3,000 or spend at least $250 on a Bank of America business debit or credit card. If you don’t, the account has monthly maintenance fees. Bank of America is the bank Fit Small Business has used for over five years and one that we recommend for small businesses that can qualify for a free account. Bank of America has one of the larger bank networks on this list, serving more than 46 million clients in all 50 states. A free business checking account through Bank of America gives clients access to more than 4,600 branch offices and nearly 16,000 ATMs from Bank of America and the Global ATM Alliance. It’s extremely easy to get good customer service through Bank of America’s website, over the phone, or in one of its 4,600 branch offices nationwide. Account administration can be handled in-person at one of its offices, through its website or with Bank of America’s mobile banking app. A free business checking account through Bank of America gives small business owners the ability to earn introductory rewards and gives you access to the Bank’s online and mobile banking tools. Small business owners can also deposit checks remotely and add on additional services, including credit card processing and payroll services through ADP. The Bank of America Business Fundamentals Checking account offers great introductory rewards, but the account isn’t free unless you meet certain criteria, including maintaining a minimum balance of $3,000 or spending $250 on a Bank of America business debit or credit card. Customers are also limited to 200 free transactions per month and free cash deposits of $7,500 per month, so it’s not great for cash businesses. Visit the bank’s website to set up a Bank of America Business Fundamentals Checking account or get more information. 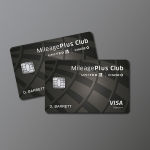 You can also go to one of the bank’s branch offices for in-person guidance or to see whether you qualify for its $450 in introductory rewards. US Bank provides business owners with access to a huge network of more than 3,000 branches nationwide, plus 4,700 ATMs. In addition, the Silver Business Package free business checking account allows for up to 150 free transactions per month, making it the best free business checking account for small business owners who want access to physical branches but have limited monthly transactions. Introductory bonus interest rate: For money market deposits during the first year. US Bank has more than 3,000 branches around the country and more than 4,700 ATMs. Customers are also able to use out-of-network ATMs for an additional fee. In addition to its physical locations, US Bank gives customers access to accounts online and through its mobile banking app. US Bank customer service is available through any of the bank’s 3,000 branches nationwide, or you can access your account through one of its ATMs. US Bank also offers its customers access to a mobile banking app that makes it easy to bank from anywhere. For small businesses with extra cash each month, you can deposit those funds in a US Bank money market account to earn higher interest for the first 12 months. US Bank also offers 25 free cash deposits each month, remote check deposit and easy integration to overdraft protection or credit card processing services for your business. The US Bank Silver Business Package has no monthly fee but is limited to 150 free transactions per month. Customers are also charged fees for ATMs and remote check deposit if you deposit more than 20 checks remotely per month. To open a US Bank Silver Business Package, visit its website to start the process, where you can learn more about its services and the documents you’ll need to open a free small business checking account. Azlo is the best free business checking account provider if you don’t need to visit bank branches regularly. Azlo allows business owners to open a free checking account online with no deposit. However, the bank is online-only, which can make it difficult to handle cash transactions and get help on complex account administration issues. Still, the account gives clients access to more than 55,000 ATMs, has no monthly fee and requires no minimum account balance. Azlo is an online-only subsidiary of BBVA, which has a very large digital bank network but relatively few bank branches. Azlo customers bank exclusively online but do have access to about 55,000 ATMs through Allpoint. It’s expected that clients will take care of account administration online or through mobile banking apps. Azlo is online-only and serves customers through its website and over the phone. Clients can typically handle account administration online or over the phone including account setup and most transactions. Azlo offers small business owners access to a massive network of more than 55,000 ATMs. Customers also enjoy mobile deposit, free mobile banking, online banking and bill pay. Account holders get a free Azlo Visa debit card to use for transactions and at ATMs. Azlo offers access to a huge number of ATMs but no real branches. Even its parent company, BBVA, only has about 670 branches spread over seven states including Texas. Customers are also expected to handle banking electronically, so conducting cash transactions can be difficult. To set up an Azlo free business checking account, visit Azlo’s website. You can learn more about its free business checking account as well as other options and services. If you want to open an account, you can complete the entire process online through Azlo’s website. First Citizens Basic Business Checking is one of the best free business checking accounts if you’re just starting a business and need a simple business checking account with no minimum balance. First Citizens offers up to 175 free transactions each month, which is ideal for newer businesses that don’t have more than 175 transactions each month. You can also open an account with as little as $100. First Citizens has one of the smaller bank networks on this list. The bank has 500 branches and ATMs in about 21 states across the country, including those in the SUM and Money Tower networks. Customers can also handle banking needs online through the First Citizens website. First Citizens has more than 500 branches where account holders can get individual customer service. Account issues can also be handled online or over the phone. Clients are also provided with access to mobile banking tools for phones and tablets. First Citizens offers a very simple free business checking account and one of the lower fee structures. In addition to its First Citizens Basic Business Checking product, First Citizens clients are given free access to First Citizens ATMs and the option of using one of four types of overdraft protection. While First Citizens has no account minimum and one of the lower fee schedules on this list, it only has branches in 21 states. The bank also limited free business checking account users to 175 free transactions per month and free cash deposits to $5,000 per month. To open an account with First Citizens, start by visiting its website. You can get more information on its accounts and services, see what information you need to open a free business checking account for your company and start the process online. PNC is a great option for many small businesses in the Eastern and Midwestern United States. You can earn up to $100 to $200 in rewards by opening an account, maintaining a $1,500 to $5,000 minimum balance, depending on the type of account you open and making 10 qualifying transactions with your PNC debit card within three months. PNC operates in 19 states in the Eastern and Midwestern U.S. as well as Washington, D.C. Bank customers have access to more than 2,000 branches and more than ATMs. PNC primarily serves customers in the Midwestern and Eastern U.S. Business owners who don’t live near a PNC branch should plan to handle all account administration online and may have trouble getting help if problems arise. PNC customers can also get service over the phone, but PNC’s call center is mostly automated, and it can be difficult to get personal assistance. In addition to its low-cost checking account, PNC also offers some great potential sign-up rewards for banking customers who qualify. PNC’s monthly fee is also very low for customers who fail to maintain a minimum balance that qualifies them for a free account. PNC has a very cost-effective checking account offering for many small businesses, but the bank has no presence in the Western U.S. Customer service can also be lacking, so customers should be patient when resolving any account issues that arise. You can open an account and potentially earn upfront rewards by visiting PNC’s website. It only takes about five minutes to apply for an account. After you finish your application, you’ll get a call from a bank representative to confirm some of your information and will likely need to visit a local branch to sign signature cards and complete the account opening process. BB&T Business Value 50 is another great free business checking account option. This account is best for sole proprietorships and startup owners who want to keep costs low and save on things like checks. BB&T works best if you have just a few transactions per month. BB&T has a sizable bank network in the Eastern U.S. The bank operates more than 2,000 branches in 15 states. However, these branches are mostly in the Eastern and Southern U.S.
BB&T customers can access their account online or get help at any of BB&T’s 2,000 branches. However, it can be difficult to get help if you don’t live near a BB&T branch. BB&T has also received several complaints about customer service, particularly about its fraud department. BB&T Business Value 50 is a great free business checking account for some startups and sole proprietorships, but it doesn’t offer many additional benefits. However, BB&T does offer a discount of up to $25 on your first order of business checks. BB&T also offers other accounts that allow more transactions, but it also has monthly fees. BB&T is a great option for startups and sole proprietorships who want a low-cost business checking option. However, the bank has no real presence in the Western U.S. as Texas is about the westernmost state where the bank operates branches. If you want to open a free business checking account online with BB&T, you can open your account completely online. The entire process takes about 20 minutes if you have all the information you need about your business. You can also fund your account as part of the application process. Navy Federal Credit Union is the largest credit union in the U.S. and the best credit union option for free small business checking. If you want a credit union alternative for a free business checking and only have a few transactions each month, Navy Federal can be a terrific option. Navy Federal has one of the largest bank networks of any credit union in the U.S. The credit union operates 300 branches and 600 ATMs In 30 states and the District of Columbia. The bank also offers 24/7 customer support for members who need help with account administration issues. Navy Federal Credit Union makes customer service more available than any other credit union in the U.S. In addition to online banking and call centers, Navy Federal customers can get individual help at any of the bank’s 300 branches across the country. Customer service is reportedly very strong at Navy Federal. 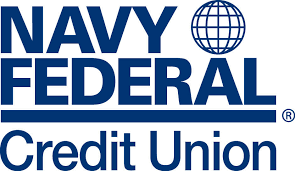 Navy Federal Credit Union pays dividends on balances held in free business checking accounts, which is a benefit that almost no other banks or credit unions offer. However, Navy Federal business checking offers few additional benefits aside from dividends. Navy Federal is a great option for small business owners who want a credit union alternative for free small business checking. However, the credit union limits customers to 30 free transactions per month. Navy Federal also doesn’t have branches in every state, which can make it difficult to deposit cash. Customers also have to qualify for membership before opening an account. If you decide to use Navy Federal Credit Union for your free small business checking, you can apply online for membership in the credit union. You can download a business member application and upload the completed form online. Once the application is approved, which can take one to three business days, you can open your small business checking account online. Wells Fargo is one of the world’s largest banks and the fourth largest bank in the U.S. by assets. Wells operates branches and ATMs all across the U.S. and is a massive operation and is ideal for business owners who want a bank that provides many other services. Wells Fargo has one of the largest bank networks in the world, with branches all across the U.S. and in other countries. In addition to bank branches, the firm also has wealth management offices across the country staffed by financial advisors. Wells Fargo is one of the largest banks in the country and customer service is widely available. Bank clients can access their accounts online and over the phone in addition to ATMs. Wells Fargo has recently announced that the bank will be closing several hundred branches around the country, but this will still leave more than 5,000 branches around the country where customers can get assistance. Wells Fargo offers many other services in addition to small business checking including securities brokerage and investment advisory services. It is also included in our list of the best 401(k) companies, which is great for company owners who want to offer retirement benefits to their employees. Wells Fargo is a very large and well-established bank, but customers must maintain a minimum balance to avoid monthly fees. Wells has also had several lawsuits for deceptive practices, including from the U.S. Securities and Exchange Commission. 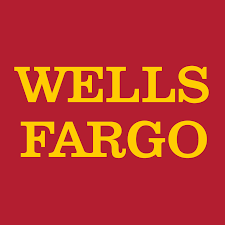 Business owners can open a free business checking account online with Wells Fargo. The process only takes 10 to 15 minutes if you have all of the necessary documents about your company. These documents can be uploaded online, and your account can be funded as part of your application process. Bank OZK, formerly known as Bank of the Ozarks, is a regional bank that began in Arkansas but has since spread across most of the Southeastern U.S. Bank OZK is a relatively strong regional bank that has grows by acquiring other banks and offers very low-cost business checking for small business owners online and in-person. Bank OZK offers a very good free business checking account, but its bank network is somewhat limited. The bank operates about 250 branches across the Southern U.S. stretching from Texas and Arkansas, across Georgia to Florida and North Carolina. Bank OZK customers typically report very good customer service in reviews online. However, Bank OZK only has branches in some states. Customers who don’t live near a branch can typically handle account administration online and over the phone when necessary. Bank OZK offers a great alternative for small business owners seeking a low-cost checking account. The account allows many free transactions each month. However, accounts offer very few additional benefits. Small business owners can find a very low-cost checking account at Bank OZK, but the bank is still a regional provider. The bank only operates branches in limited markets, which can make it difficult to deposit cash or get in-person help on account issues. Business owners who choose to use Bank OZK can open an account completely online. If you have all the necessary information about your business and proper documentation you can complete the process within about 15 to 20 minutes and start handling your business banking needs immediately. Popular Bank is a subsidiary of a 120-year old Puerto Rican bank. Popular has a limited presence in the U.S., operating only 50 branches in New York, New Jersey, and Florida. However, the bank also operates all over the Caribbean and Central America and provides cost-effective business checking products. Popular Bank has a relatively small bank network inside the U.S. with just 50 branches in New York, New Jersey, and Florida. However, in addition to online banking Popular Bank and its affiliates also have operations across Central America and the Caribbean, making it easy for customers to bank from anywhere. Customer service can be very difficult with Popular Bank. The bank only offers a few dozen branches in the tri-state area and Florida. Customers can also access their accounts online, but U.S. customers have reported problems in getting individual assistance when account problems arise. Popular Bank free business checking has few additional benefits. However, the bank also offers a small business checking account that can earn interest, but it allows fewer free monthly transactions. Popular Bank can be a very good free checking account provider for business owners who live near a branch. However, the bank has a very limited bank network inside the U.S. Customers also can’t complete account setup online, and it can be difficult to get information on Popular Bank’s costs. If you think you may want to set up a small business checking account at Popular Bank, start by visiting its website. You can start the process of opening an account online but will likely need to call a customer care specialist or visit a local branch to open an account. Once the account is opened, you can bank from anywhere. 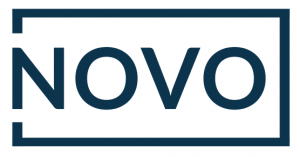 Novo is a new startup bank partnered with Federal Deposit Insurance Corporation-insured Middlesex Federal Savings, located outside of Boston. Novo currently offers a completely free business checking account to small businesses with very limited services, making it possible to open a free business checking account online with no deposit minimum. Novo has no physical branches but allows you to send checks directly through their mobile app — all other transactions are completed via ACH. Novo is purely an online bank. Novo clients can use any ATM worldwide — fees may apply — but the bank has no physical branches. Currently, the bank is only offering business checking accounts on a limited basis. Novo is a startup bank that is still refining its offering. Customers can access customer service through Novo’s website, mobile app, or by calling their customer service line. Novo is also leveraging its relationship with its partner bank, Middlesex Federal, to provide assistance for critical account issues when necessary. In addition to a totally free business checking account, Novo also integrates with point-of-sale (POS) tools and offers check mailing directly through the mobile app. Cash deposits are done by USPS money order or directly into Middlesex Federal’s ATM network. Novo is an extremely cost-effective option for many small businesses. However, the bank is brand new and still testing its products. Small business checking accounts from Novo are free but are only being offered on a limited basis. If you want to set up a totally free business checking account with Novo, you can set up your account completely online and start handling all of your banking electronically. Novo is still a startup bank, but you can start by visiting its website and requesting early access to establish an account. Axos Bank, formerly Bank of Internet USA, is the oldest online bank. Since its founding, it has grown into a group of banks and financial services companies. However, the focus remains on providing low-cost online banking services including small business checking accounts. Axos Bank is an online-only bank. While it was the first of its kind, it also has virtually no bank network. Customers are expected to handle all banking needs online and through surcharge-free use of ATMs nationwide. Customers who use Axos Bank should expect to handle all of their banking needs themselves online. If questions or problems arise, bank customers can contact the bank through a call system. However, as an online-only provider, direct customer service is minimal. Free business checking clients at Axos Bank also get many additional benefits. Customers get their first set of 50 checks for free, free online banking and free access to online bill pay. Axos Bank customers can also use ATMs nationwide without any fee charged by Axos Bank. While Axos Bank is a very reputable and well-established online bank, it has no physical branches. It’s not designed to help businesses that require cash transactions. Customers are also limited to 200 free transactions per month. If you want to open a free business checking account with Axos Bank, you can complete the process totally online. You can also contact a customer support specialist if you need help completing your application. However, once your application is approved, you can start banking online immediately. Free small business checking accounts are a good option for small and growing businesses. While there are no monthly fees, free small business checking accounts still have fees for additional services like wire transfers and cash deposits. That’s why it’s important to look at the fee structure for each free small business checking account before deciding on an option. We’ve researched free business checking accounts and found Chase Bank to be the best free business checking account provider for those who plan to maintain an average monthly balance of $1,500. You can get started online, and new customers may qualify for a $200 sign-up bonus. US Bank is horrible. I made the mistake of moving my personal and multiple business bank accounts to US Bank from Union Bank. Worst banking decision ever. Even worse, when I went to end my relationship with them, they became very rude, inconsiderate and argumentative. Avoid them like the plague. Thanks for reading. We’re sorry to hear that you had a poor experience with US Bank. Unfortunately, when you’re dealing with large national banks, most run into occasional customer service issues. Hopefully, they were able to rectify the situation or corrected the issue with additional employee training. If you have additional insight or have found a new provider for free business checking, feel free to share information here so we can review them during our next update. I agree with Capital One Spark being great, I’ve been very happy with them over the past year. Sadly they are currently not accepting new checking account applications and their customer support weren’t able to provide an estimated timeframe from when I could open an account again so I am left searching elsewhere for my new business. Thanks for the comment, Jessica. We’re always updating articles, so be sure to check back for new rankings. We’ve noted that Capital One Spark isn’t currently accepting new business checking accounts while the bank updates their product. We’ve also noted that current account holders won’t be affected, which leads us to believe that it’s only a temporary hold. You might check back with Capital One in a week or 2 and see if they’ve started accepting new accounts. I have had small business banking experience with both US Bank and BBVA. Both were unfavorable – US Bank was really unfavorable. So, I went to Wells Fargo for my non-profit – very happy. I’ve been with WFB on the personal side for 30 year without a problem. They even reversed fees charged by a foreign bank on an international transaction that didn’t go well. I will probably go with Capital One 360 for my new start-up checking account since I have a Capital One Quicksilver card that is awesome (best card ever for international travel). Hope this helps. Thanks for sharing your experience with fellow readers.